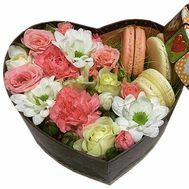 Flowers and sweets are an original combination that can conquer the heart of an esthete and sweet tooth. 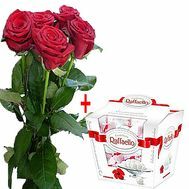 We all know that flowers and sweet are two kinds of gift that do not become obsolete ever. 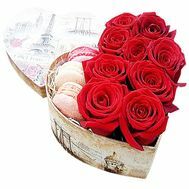 They can be given as a holiday, and without any special reason, as a sign of attention or an attempt to draw it to yourself. 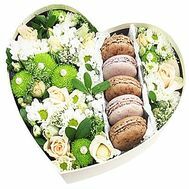 Lovers of sweet probably appreciate a box of delicious chocolates, cake or juicy cakes, which are complemented by lush and fresh colors. 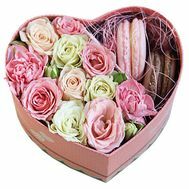 Bouquets of flowers and sweets are useful to you, if the holiday caught you unawares, and ideas, what to give, you do not have. 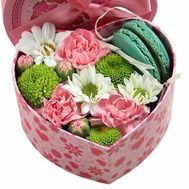 The beauty of such a gift is that you can buy flowers and sweets any day, time and month outside the window. 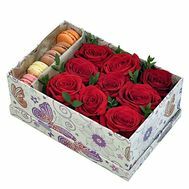 The timeless fashion for such presents only spurs their popularity, and therefore to buy flowers with sweets with home delivery is the best choice today for those who want to create a pleasant moment for the recipient. 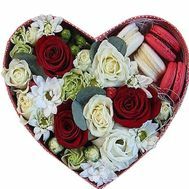 Similar compositions and combinations in our store are great, and they are all collected by professionals. 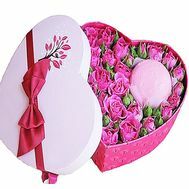 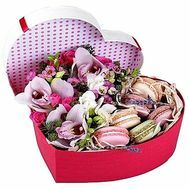 Each shade of the bud or flower sort was carefully thought out and matched to the general style of the gift, the color of the sweets and the purpose of the bouquet. 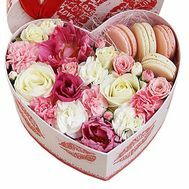 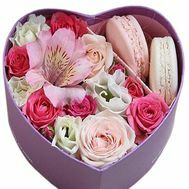 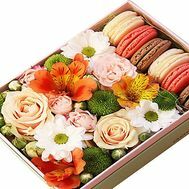 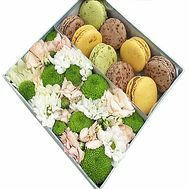 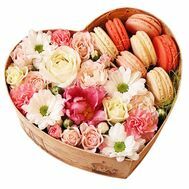 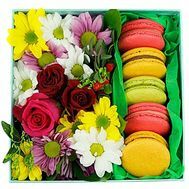 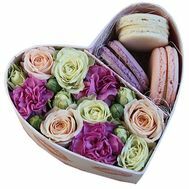 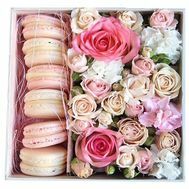 The bosses: the bosses are best to buy flowers in a box with macaroons, but the man's boss is a bouquet and a cake with a delivery. 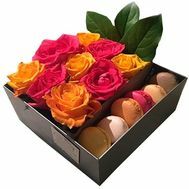 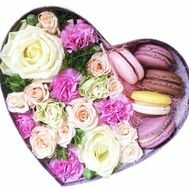 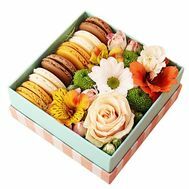 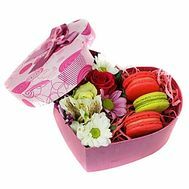 To buy flowers with sweets for a gift is to purchase a beautifully designed and thoughtful surprise that not only looks beautiful, but can be tried. 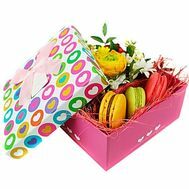 Such a pleasant surprise has no limitations and can be presented to any celebration and holiday. 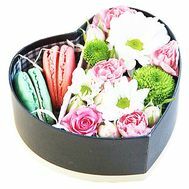 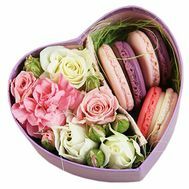 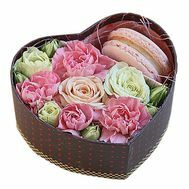 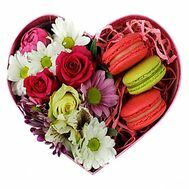 For example, you can make your favorite original gift - order her flowers with sweets on March 8. 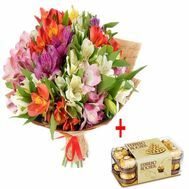 Such an unusual birthday greeting in the form of flowers and sweets will be appreciated even by your strict father! 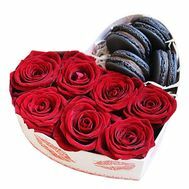 To the same recipients who love the classics, give roses and sweets - a smart present that can not only bring a smile, but also become the brightest on the holiday. 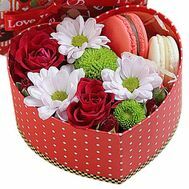 Remember that buying flowers and sweets is always a good idea, both as a basic gift, and as a supplement to something especially important. 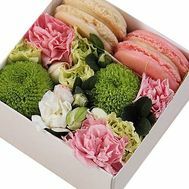 Special pleasure of sweets will be delivered to children. 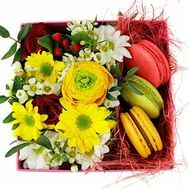 Our floristic online salon offers its services to every Ukrainian and foreigner. 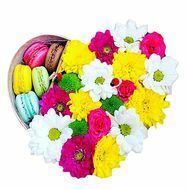 Having more than 10 years of experience behind our shoulders, we use only fresh flowers in our work, thanks to this, each of our products has a 100% quality guarantee. 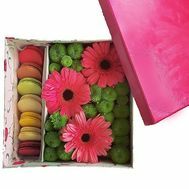 In addition, we cooperate with proven and best suppliers of floral products throughout the country! 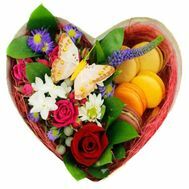 In our store you can find many ways to pay for an order: by money order, through electronic wallet and others. 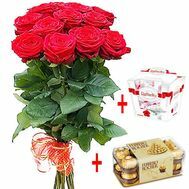 Also, payment is available in several major currencies, in addition to the hryvnia: dollars, euros and rubles. 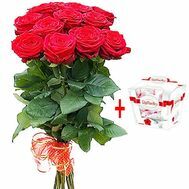 Our flower delivery service is deservedly considered the most operational and quality. 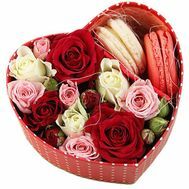 This is evidenced by the positive feedback and photo deliveries, which were carried out by our professional couriers. 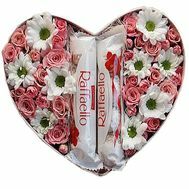 Everyone who orders from us can count on the timely delivery of a gift, thanks to which more than 40,000 surprises and romantic moments have been created. 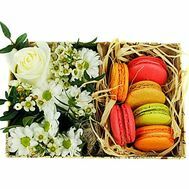 We also provide free shipping in major cities, greatly facilitating purchases. 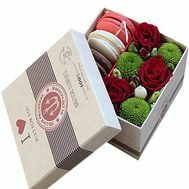 Special attention deserves our actions and discounts, which absolutely every client can get! 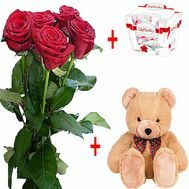 And for those who want to make the holiday really bright and memorable, you can add a soft toy, balloons or cake to a bouquet or a composition.